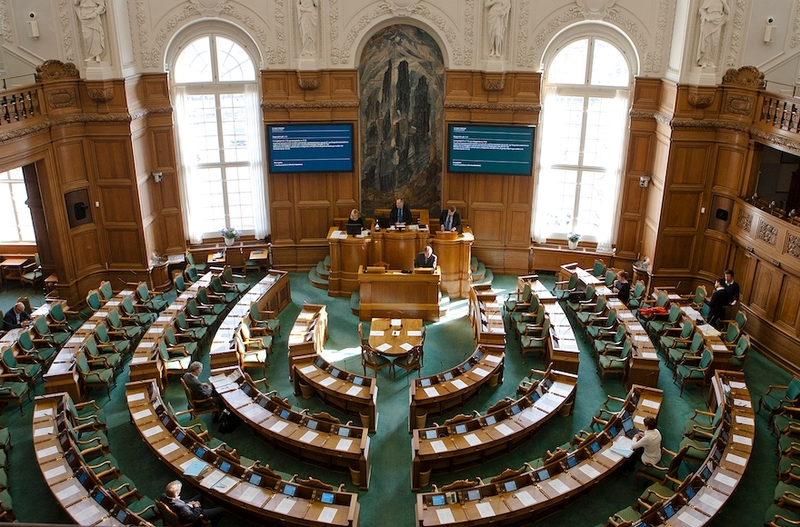 (JTA) — An impending vote in the Danish parliament on nonmedical circumcision of boys risks splitting the country’s ruling party, the local media are reporting. The internal conflict is over an online petition from February calling for a ban on the practice. The petition has received 92 percent of its authors’ goal of collecting 50,000 cosignatories by August. In the likely event of reaching that number in time, the petition will become a draft resolution for parliament to vote on. Last month, Defense Minister Claus Hjort Frederiksen of the ruling Venstre centrist party said his party would vote against the draft resolution, the Berlingske newspaper reported. But several members say they would break party discipline and vote in favor, the report said. If they leave the party over the issue, it could jeopardize the coalition. Across Europe, the Jewish and Muslim customs of non-medical circumcision of boys are under attack by liberals who say it is a violation of children’s rights and nationalists who argue it is foreign to European culture. In addition to Venstre, the Liberal Party and the Conservative People’s Party also have said they would oppose the draft resolution based on the petition, Rabbi Pinchas Goldschmidt, president of the Conference of European Rabbis, told JTA on Tuesday. But the two additional parties have said they would allow their lawmakers to vote freely on the issue, Berlingske reported. Still, this is “an encouraging sign,” said Goldschmidt, who is in the Latvian capital of Riga this week with his organization’s standing committee for discussions, including on the protection of circumcision and other religious practices in Europe. The debate in Denmark coincides with deliberations in Iceland on a bill that was introduced this year to ban circumcision. Amid intensive lobbying by Jewish groups, a parliamentary committee last week said it is advising parliament to scrap the bill, thus dramatically diminishing its chances of being put to a vote. “The developments in Denmark and Iceland, as well as the lifting of temporary bans in Germany in 2012, show that education and intervention can have an impact on the debate, and I’m sure it will also if the motion is brought to a vote” in Denmark, Goldschmidt said. The issue is “of critical importance because a ban on milah means the end of a Jewish community where it occurs,” added Goldschmidt, using the Hebrew word for circumcision.